With no vegetables in your hand or no patience to chop vegetables then the simplest recipe you can depend upon is the 'Plain Dal'. This simple dish satisfies your appetite and goes well with Rasam. You can use any type of pickle as side dish. 1) Wash Toor Dal twice or thrice till the water becomes clear. 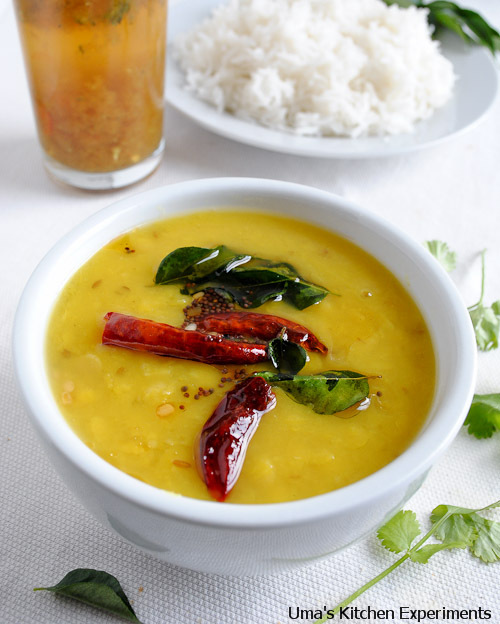 2) Add the Toor Dal to a pressure cooker and add 2 cups of water and allow it to boil. 3) Wait for some time until you can see a white foam on the surface water. This is nothing but the fat from the Dal. Remove this white foam using a spoon. 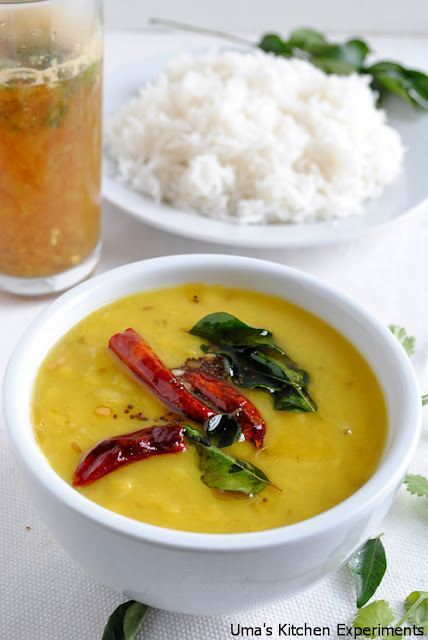 4) Now, add cumin seeds, salt, turmeric powder, asafoetida powder and 1 teaspoon of oil to the dal in the cooker. 5) Cook for 3 whistles and allow the pressure to subside. 6) Take a frying pan, heat the remaining oil. Add mustard seeds and urid dal. 8) Add the seasoning to Dal. 9) Plain Dal is ready. 1) If you are not going to serve immediately then close the dal using the lid after you have added the seasoning. The seasoning flavor remains inside till you serve thus providing a nice aroma to the Dal.